VWO lets you seamlessly integrate Tealium’s real-time marketing solution with VWO’s optimization platform to create a unified agile marketing experience for your business. Sign in to the Tealium dashboard and then select the Tags tab. 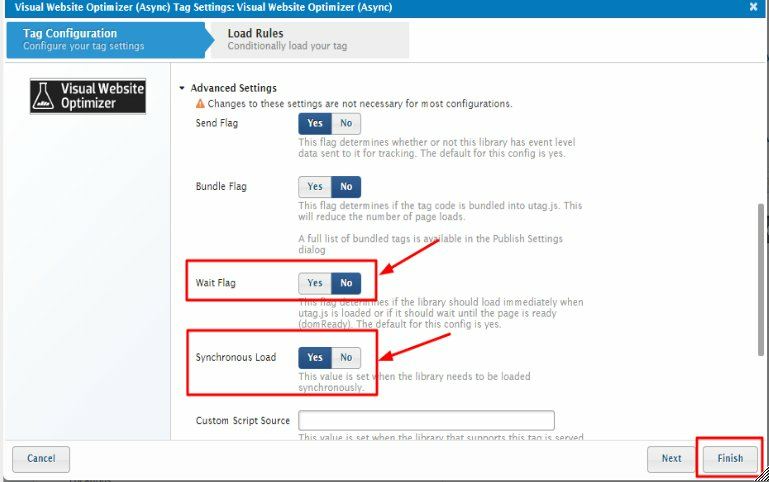 Search and select Visual Website Optimizer (Async) from the available tags. 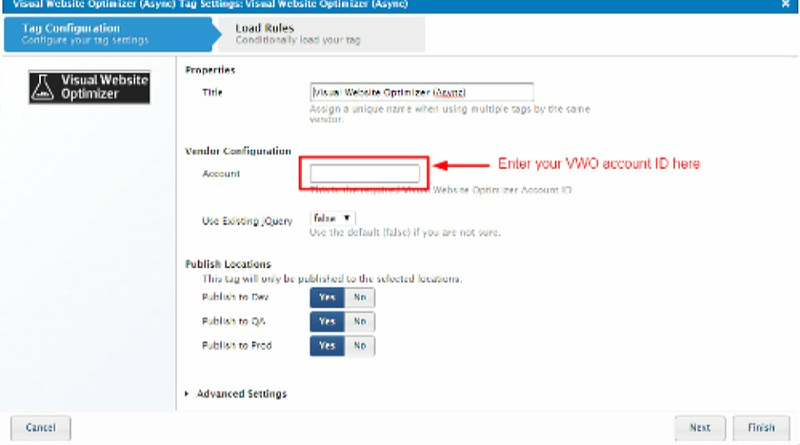 In the Tags Settings window, go to the Vendor Configuration section and type your VWO account ID. Under Advanced Settings, for Wait Flag, select No. To proceed with the integration, click Continue. 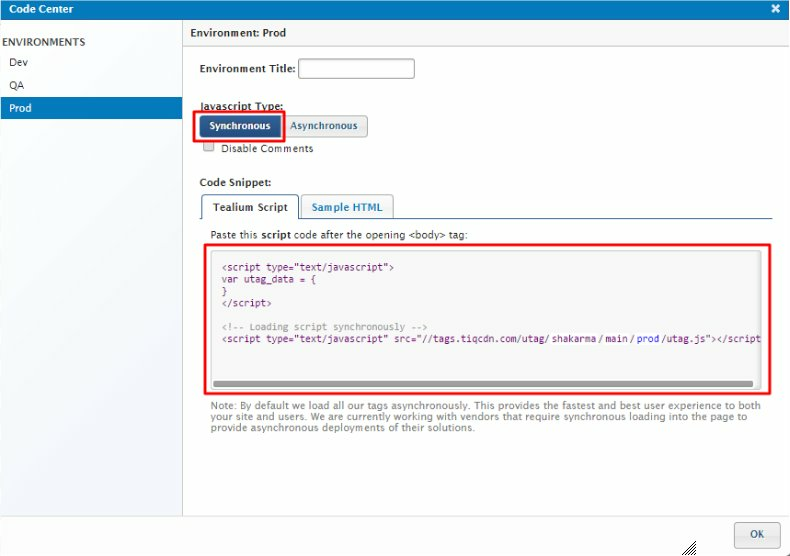 To retrieve the Tealium synchronous code, navigate to the Code Center on your Tealium Dashboard. On the Code Center window, select the Prod tab and select Synchronous tab. If you are already using asynchronous code in Tealium, please make sure to change it to synchronous code. Copy the Tealium synchronous code and add to your web pages. Your VWO account is now integrated with Tealium.